It is very easy to build your own sauna when you use "Our Best" DIY sauna kit that includes over 44 parts: the right materials, the right lengths of cedar and great instructions. On this page, we show you why our sauna customers prefer to order "our best" sauna kit. Fortunately for us in North America, we have access to large forests of Western Red Cedar in Oregon and British Columbia. Over 2,400,000 cedar saunas are now in use in Canada and the U.S. They bear witness to the popularity of Red Cedar as the best wood for saunas. 1. Red Cedar is One of the Most Stable Softwoods Known - it's ideal for sauna building. (a) cedar does not become hot. Millions of tiny air cells in the wood act like insulation. (b) cedar does not expand. The heat of the sauna does not make Red Cedar expand. (c) cedar does not absorb moisture. Water may be used inside a sauna - no hardship on the wood. (d) cedar has an enjoyable scent. It is part of the enjoyable sauna experience. 5. Red Cedar is the most popular wood used to make infrared saunas world-wide! 6. Redwood is not red cedar. Real "Sequoia Redwood" is now too expensive to use. 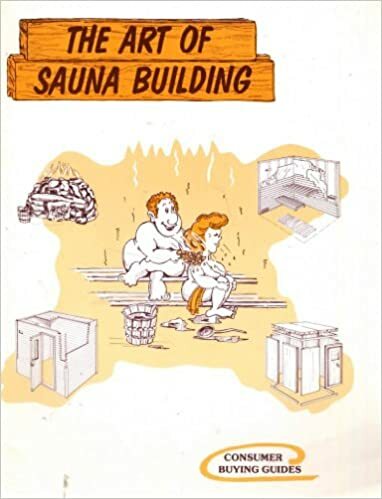 The book, "The Art of Sauna Building", reviews over 16 types of wood that could be used for saunas. Red Cedar is native to North America - it is one of the highest-rated woods for sauna building. 2. Prices are Low for a Sauna Kit - It is not an expensive decision to buy a professionally-designed sauna kit from an experienced supplier like Home Saunas Since 1974. We strive as a factory to always have low factory prices - our sauna kit customers report that our kit prices saved them $800 to $1,800 on their project. 3. Instructions are Important - our instructions have seen constant improvement since 1974 when we started making saunas. In addition, our customers get our best-seller book, "The Art of Sauna Building" and we share our "Tips to Avoid Mistakes Made by Others" with you. 4. Size is Important (the thickness that is) - there are many suppliers of sauna kits that still use cedar that is too thin. It is very stressful on the sauna wood when you considering the heating and cooling cycles that the sauna room goes through. Thicker wood is more stable. It eliminates warping and shrinkage. Your sauna will outlast our lives - so why not have it look great every year? When the cedar lining is merely 1/2" or 7/16" or 9/16" thick - they are not strong enough to resist warping in a sauna environment. The 11/16" thickness that we use in "The Best" sauna kits is the thickest in the industry, easier to install and meant to look beautiful for 50 years or more. (1) "The Best" Series Sauna Kits - have our best quality and includes all 24 upgrades. It is our most popular DIY sauna kit. Up to 44 parts are included. >>>... Learn More - "Our Best" DIY Sauna Kit. This explanation of the upgrades in "Our Best" Sauna Kit illustrates the value in our best sauna kit. To lower the price, the alternative is to buy the mid-range "Deluxe-PLUS" Kit and add options and upgrades. Upgrades Value - Included in this kit are upgrades worth over $900. Sauna Heater Upgrade - you are upgraded to the Saunacore SE Special Edition 100% stainless heater. The heater is often sized larger for faster warm-up. Sauna Controls Upgrade - you are upgraded to our best #1 DEC Digital Electronic Control. Door Upgrade - our #1 Full Window Door is included - 90% of customers prefer this door. Our other 6 doors are optional. Door Frame Upgrades (3) - the thin mahogany door jamb is upgraded to a cedar door frame that is also wider (5.00") for ease of installation. The door casing set is a custom colonial pattern for a fancier touch. Two sets are supplied. The door hardware is included. The stylish door handle is a horizontal 23" cross-bar that is also a convenient towel bar. Upgrade to the Thickest Tongue-and-Groove - The T&G boards are upgraded to the thickest possible boards (11/16"). The thicker boards resist warping, provide extra insulation and are easier to install as the tongues and grooves are much stronger. The thicker wood also allows a tighter seal of each T&G joint as there is more wood to make that happen. Benches 1 - two-tier benches along the longest wall are made of 2x4 for strength. The bench material is upgraded to the best quality 2x4s by selecting the strongest pieces that also have the nicest appearance. Benches 3 - where room allows, a 3rd L-bench is optional. (ie 5'x7' where the door is on the long wall). Subject to our design layouts. Benches 4 - where room allows, 3rd and 4th L-benches are optional. With 4 benches, you are also upgraded to our strongest bench frame system to support the benches. (ie 6'x8' and larger). Benches can support up to 1600#. Aluminum Foil Upgrade - we ship extra heat-resistant aluminum foil vapor barrier to ensure plenty for the job. Light Fixture Upgrade - you are upgraded to a deluxe maritime-style vapor-proof light fixture for surface mounting - with flexible placement. Heater Guard Upgrade - you receive a stronger and nicer looking heater guard made of matching clear grade cedar. Hardware Upgrade - you receive 2 louvered vents, galvanized nails, etc. The hardware package is upgraded to include coated screws. You are also upgraded to extra galvanized nails of various sizes. The rough opening for both vents is 3"x10". Extra Boards - you are upgraded to receive extra boards to give you spare pieces "just in case". Instructions - the best instructions are supplied for your project. You are upgraded to receive our "Tips to Avoid Mistakes Others have Made". Accessories Upgrade - you are upgraded for the bonus bucket, ladle, thermometer accessories. BONUS GIFT #1 - you will receive an Accessory Package FREE: we include a cedar bucket, ladle and thermometer. BONUS GIFT #2 - you will receive an extra accessory FREE: a hygrometer to measure the humidity in the sauna. BONUS GIFT #3 - you will receive our best-seller book, The Art of Sauna Building. Over 65,000 saunas have been built using our book as a guide. Industry experts have acclaimed it as "the best sauna building book ever written!" Definition of Sauna Kits - They are also called sauna material packages, D-I-Y sauna kits, home sauna kits, sauna packages, pre-cut sauna kits, do it yourself sauna material kits as well as precut sauna kits. Each one of "Our Best" Sauna Kits can be used for a dry sauna, wet sauna, home sauna, hot sauna, Finnish sauna, outdoor sauna or Russian banya sauna. Coming from Home Saunas Since 1974 factory-outlet, no matter what these saunas are called, they are great quality sauna kits at great low prices!